Creative, Intellectual and totally natural – Youth Correspondent wanted to take a sneak peak into the lives of the boys who created The Pappu and Kachee Goliyan. 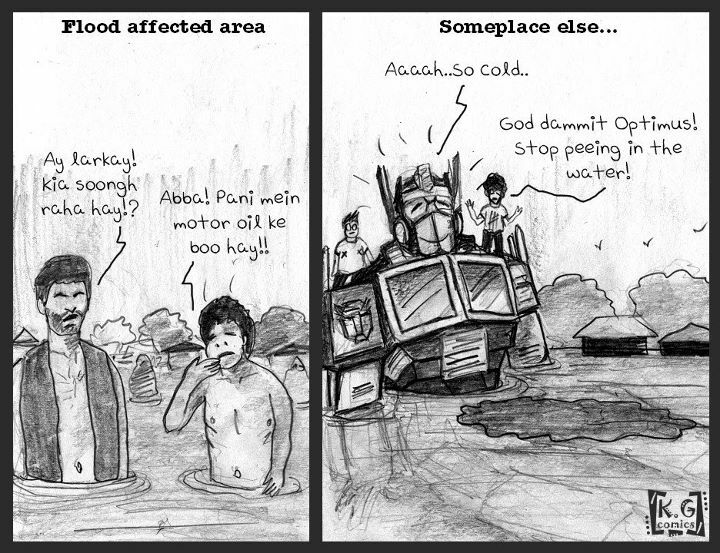 From a facebook page to a comic marvel, Nofal and Ramish have a different way of showing the factual side of Pakistan. The comics are based on two guys JC and Sufi. JC (Ramish) is a tall sleek guy with an afro and a goatee and Sufi (Nofal) is a short stocky bro with the classic spectacles. The name comes from the Urdu saying “Hum ne Kachee Goliyan nahi khelin” meaning they know what they are doing, even though it might look random. Just 5 months to their inception and they’re already raising their ‘pankhas’ to a handsome number. A Facebook Comic Page! How did it all start? First of all, this is not just a Facebook comic page. It all started when we started our university; we both used to motorpool to the college. Our college is a good 40 minutes drive from our homes. Since we had to kill those 40 minutes daily, we used to crack up jokes all the way and that is where the idea came up. Since we’re both business students and entrepreneurs, this comic is just not restricted to a facebook page. 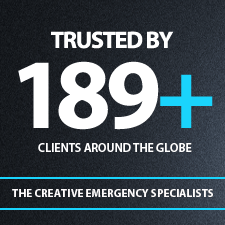 When we started, it had a proper marketing plan behind it and a proper execution took place. We also have this five year plan of where we want to go. How much external support do you get? We got full support from our parents and friends. And also some of the teachers and mentors supported us well. Were there any challenges you had to face because ‘just a Facebook page’ seems an easy thing to do? KG is more of a company and its facebook page is just a face people know it by. So yes, there were of course challenges, but regarding being the first comic company in Pakistan, not of course being just a facebook page. How has Kachee Goliyan changed your lives? What inspired you to take up something like this or was it just for fun? Since we’re entrepreneurs and KG is not our first venture, it hasn’t drastically changed our lives but yes it has taught us some valuable lessons. Though we do enjoy the recognition we get through KG. 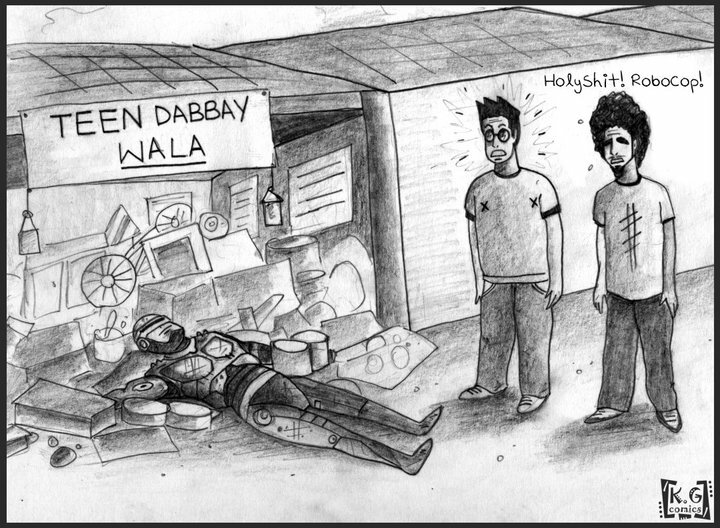 mostly we wanted to initiate a comic scene in Pakistan. We grew up reading Batman, Alan Moore and stuff; but always felt this vacuum when it came to local scene. Initiating a scene is inspiration enough. Do the characters resemble any aspect of your lives? The characters are actually our alter-egos. JC is based on Ramish while Sufi is based on Nofal. For somebody who know us and is a KG follower, the resemblance is striking at times. And it’s not just physical resemblance we’re talking about. What has been the most memorable work experience so far? The Kachee Goliyan Comic Marathon was the most memorable. We held this virtual comic marathon that was also Pakistan’s first. We uploaded 12 comics in 12 hours on Sunday. While this was going on virtually, on the real end, we were going to different places and uploading comics from different locations. We had already put up a map on the page so as to allow people who follow KG to come hang out with us. At one point we had around 40 people with us, and to spice things up, we decided to hit an amusement park. That’s when it got most fun. Both are business students, majoring in Marketing. What sort of teen were you? The crazy sort. The sort which absolutely has to get out of the status-quo and understand the world around. What have been the highest high and the lowest low? The highest high is yet to come and quite frankly, we really don’t remember any such lowest low either. There have been times when we were expecting things that didn’t happen but at the end of the day, that’s what life is about. If life was different, what would you like to be? Have you ever cried at a movie, gone to a wedding uninvited, performed impromptu dance in front of an audience? Gone to a wedding uninvited, of course, whenever we feel like having good food. Performed impromptu at weddings, another yes. Till during last year, we were especially invited to the weddings to dance. We at one point of our lives, danced as a troupe at weddings too. That was fun. Are you like an old married couple? Who gets more female attention? Ramish is the hunk while Nofal is the cute cuddly one. What do you love about working with each other? The synergy we have. We’re constantly helping each other for the greater benefit. We love that we understand what’s important for Kachee Goliyan and know that what’s important to us comes only second. How much time can you spend together before going nuts? We’re together almost all of the time. And we go nuts prolly in the first minute or so. How did the name ‘Kachee Goliyan’ come up? Hum ney Kachee Goliyan nahi khaileen, is an Urdu idiom symbolizing that we know what we’re doing. Since, we know what we’re doing and it’s not just something we started off for fun, the name Kachee Goliyan suits perfectly. Our fans are loving. Some of them ended up being our friends. No particular crazy fan story but yes, the hangouts we do with our fans are crazy in itself. What does each of you bring to the table? Which one of you is the sketch artist? Ramish sketches and handles the art side while Nofal brings in the marketing and handles most of the business side of things. Your message to the youth? Do what you feel like doing. Don’t get tangled in studying to score A’s or getting permissions from parents to start up your own thing or stuff like that. Do what pleases you. Though don’t entirely neglect taking permission from parents, because at the end of the day, they’re your biggest supporters. What would you like to say about working with Youth Correspondent? It’s doing a good effort to cultivate the youth and we hope there are more initiatives like these which would encourage the literary side of us. A special thanks to Iqra Sajid – Reporter at Youth Correspondent, for designing the questions for this interview post. We bring to you news and reviews from around Pakistan on fashion, food, music, movies, books, politics, celebrities and much more. Youth Correspondent is an online English weekly magazine of Pakistan. Click to view all posts from Youth Correspondent.